Have you missed me? :) I've been so busy that my recipe experiments haven't made it from my notebook to my computer! I think I need an assistant to keep my life organised. I don't think I've mentioned before that my full time job (as well as being a mum, of course!) is working as a teacher. I love learning with my students each day and I have fabulous colleagues who are beautiful friends. I'm so blessed. But since my life has had such a turn with my health journey, I decided to do some more study this year. I've just started a Grad Dip in Home Economics so that I can be the Food Tech and Health teacher. Woo Hoo! It's a two year part time course and I'm just loving it. Anyway, life is good but BUSY! 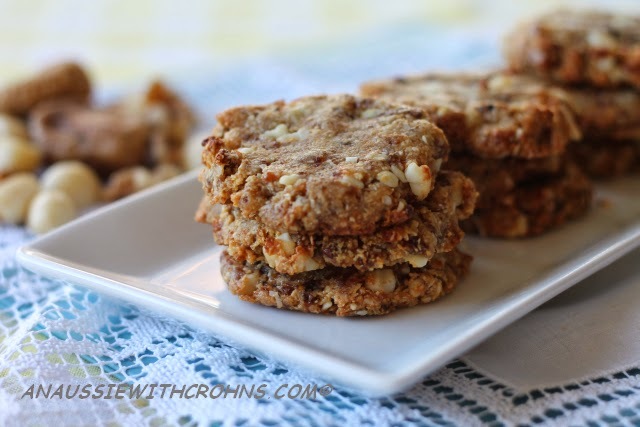 Apricot, Fig & Macadamia Nut Cookies. 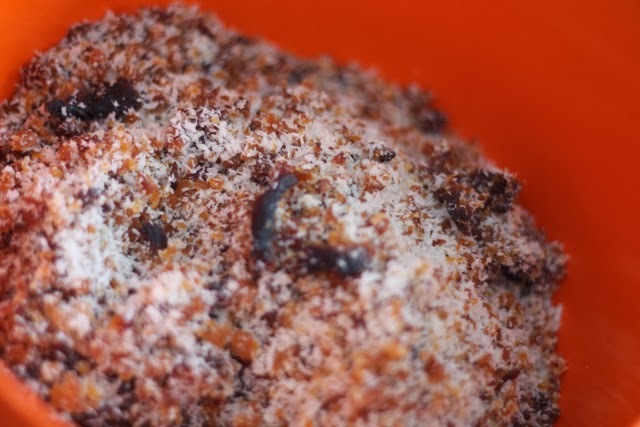 Chop each dried fig in half, then put in your food processor with 1 cup of desiccated coconut. 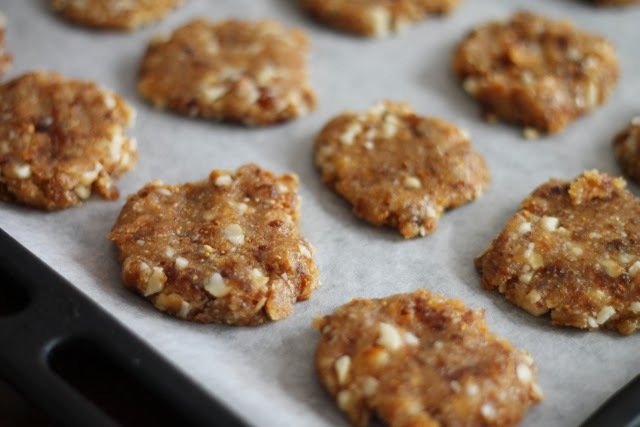 Repeat with dried apricots, using the other cup of coconut. 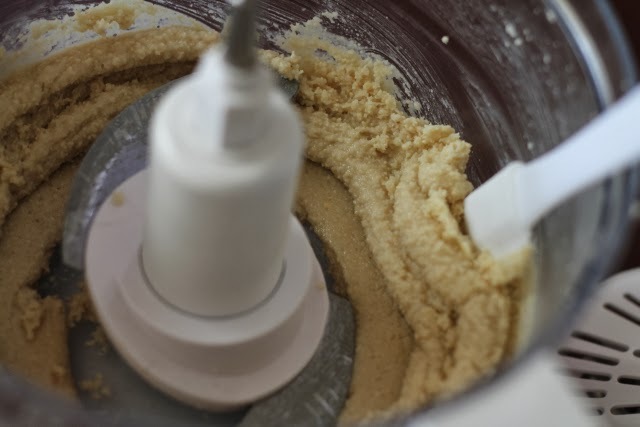 In a mixing bowl, mix together the macadamia nut butter, honey and eggs. Add the chopped fruit, coconut and roughly chopped macadamia nuts and mix thoroughly. Scoop tablespoons of the mixture onto a baking tray lined with baking paper. Form into a cookie shape. Bake in oven for 10-12 minutes until starting to brown. 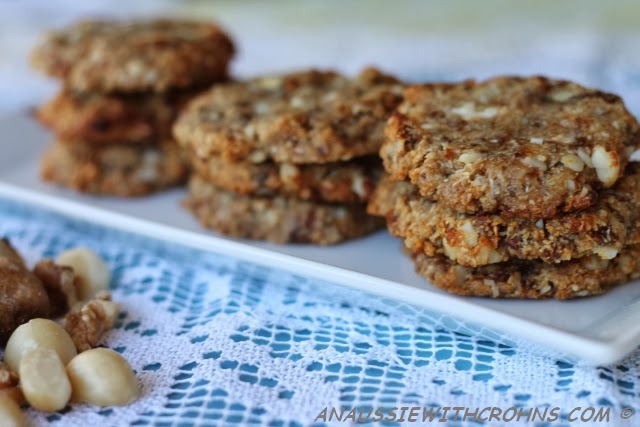 Notes: If making your own Macadamia Nut Butter for this recipe, process 2 cups of macadamias to make just over 1 cup of butter. or come and say Hi on Facebook.